It’s hard to believe that the dawn of August is just around the corner, and with it, the sad end of summer. Luckily, the universe has seen fit to follow summer with another one of the four best seasons: AUTUMN! Fall foliage and pumpkin lattes are two sides of the same coin – the coin that loves walking in the woods when there is a bite in the air, leaves crunching underfoot, and the promise of hot soup (or a hot toddy, if that’s the way you roll) at the end of the day. There is a lot to be said for fall hiking in the White Mountains: the autumnal colors of leaves changing is simply wondrous, of course, but the bugs are also less intense than early summer, the ground is dryer and firmer than late spring, and the humidity is almost nonexistent. Cooler temperatures may inspire the enthusiastic to attempt longer hikes (great) in order to enjoy and photograph the many spectacular landscape views of the lakes, mountains, valleys and rivers of the White Mountains in peak foliage (super great). Consider planning your next fall foliage hikes in mid-September to join us for the 42nd annual New Hampshire Highland Games! Below are four nearby fall hikes Lincoln NH of varying lengths and difficulties. I visited these trails in mid- to late-July to report on them for you in advance of the approaching fall season. These photos reflect mid-summer views rather than the changing colors of autumn. But… who knows? Perhaps I’ll visit them again in a few months and update the photos for posterity’s sake. 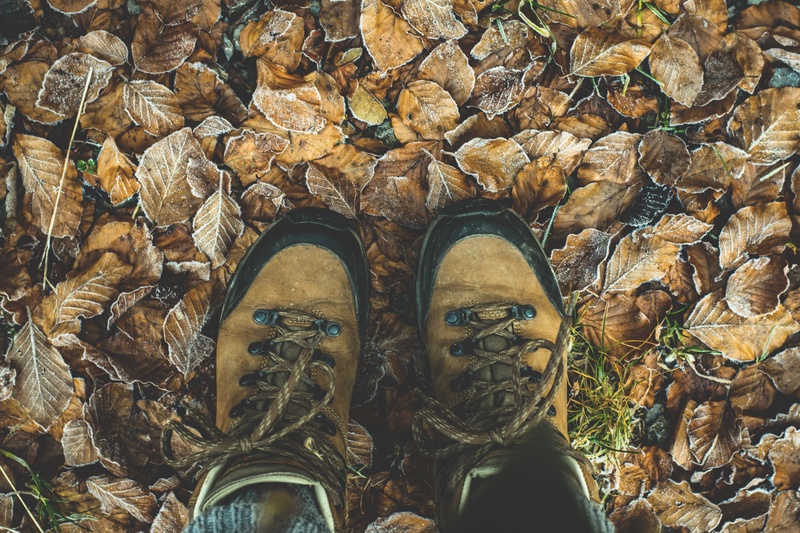 In the meantime… shine up your hiking boots, pull out your fleece vest, and study up on the best fall hikes in the White Mountains, because school is going back in session, boys and girls, and fall foliage in New Hampshire is a thrill you don’t want to miss! This popular hike is easy and very well-maintained. Stone steps dot the pathway; roots and loose rocks are minimal. This is not to say that you won’t break out into a sweat halfway up the trail, because you might, particularly on a warm or humid day. But the hike up Rattlesnake is great for both kids and less athletic adults – and the payoff at the end is EXCELLENT. There are plenty of spots at the summit to sit, have a snack, and enjoy the views. There are also a few other trails that you can choose to explore if you have the gumption. You are likely to come across other hikers along the way and at the top. On the day I summited Rattlesnake Mountain, a joyous young couple was phoning their family and friends to share the good news of their engagement just thirty minutes prior! So, there’s always that you’ll witness (or be involved in) a proposal atop Rattlesnake Mountain in Holderness, NH. A large dirt parking lot is at the top of the hill on the right. Access to the trailhead is at the end of the parking lot. My total hiking time was nearly two hours. The sign in the parking lot states that this is a one-hour one-way hike, which is pretty accurate. Those less physically fit and those hiking with children should plan on three hours round-trip. This is a very popular hiking spot, particularly on weekends. When I arrived around 1:30 pm on a Saturday, both lots were nearly full. I passed countless families, although you may not come across as many little ones during foliage season since school will be back in session. 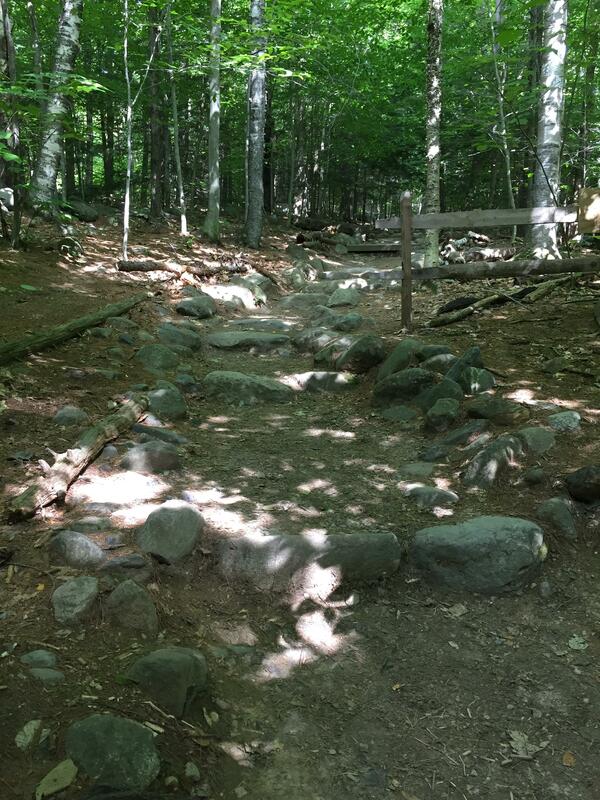 The Bemis Brook Trail is a moderate hike with 900 feet of elevation gain. 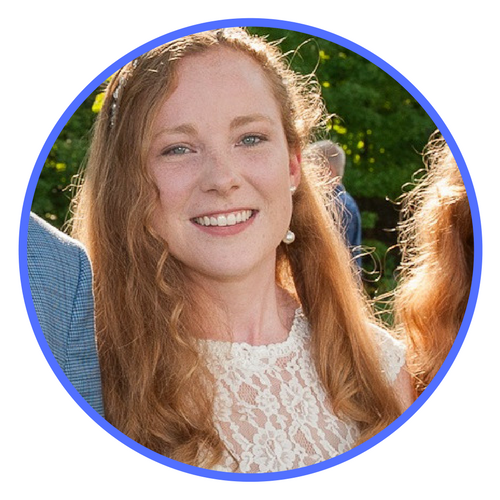 Although this can feel like a lot of work (particularly after a big lunch), it is on the lower side of the effort-to-gratification ratio: not a ridiculous amount of work for a really nice payoff. 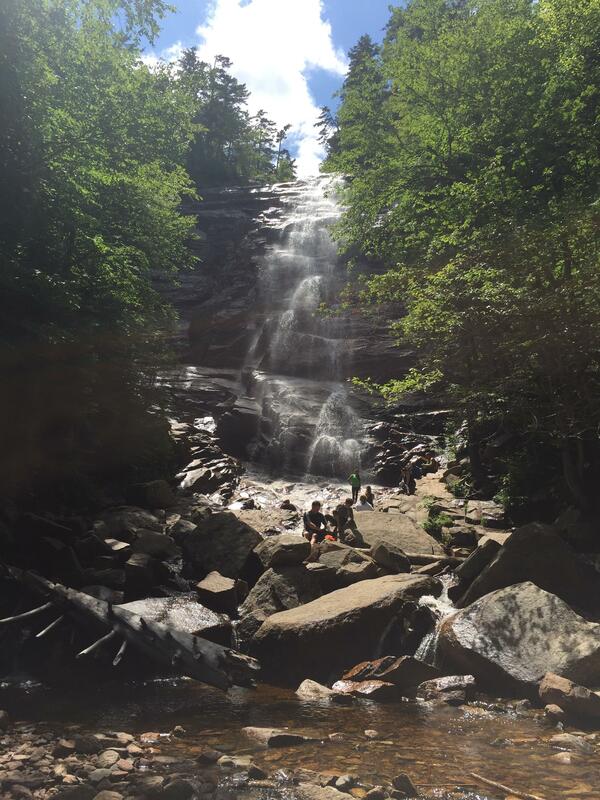 The waterfall at the end of the hike is one of the most classically beautiful – a 160-foot plunge – in Crawford Notch. There are not really any good swimming holes here, but I did see a few sooth their tired feet in the mountain waters. There are plenty of appropriate sitting rocks on which to take a break and enjoy the falls. And, although I went in mid-July, I have reason to believe this is one of the best and most intimate spots to view the changing autumn leaves. Additionally, I found a steep path up to the top of the falls for a stunning view of the opposite mountains, the river rushing over the edge in the foreground. At the time, I was the only hiker who ventured upward, so I took my break at the crest of the falls, gazing out at the valley and pondering my place in the vast spread of the universe (I came to no conclusions). The path to the top of the falls was a bit sketchy coming back down, but what can I say? I’m a local. I have to be a bit daring. 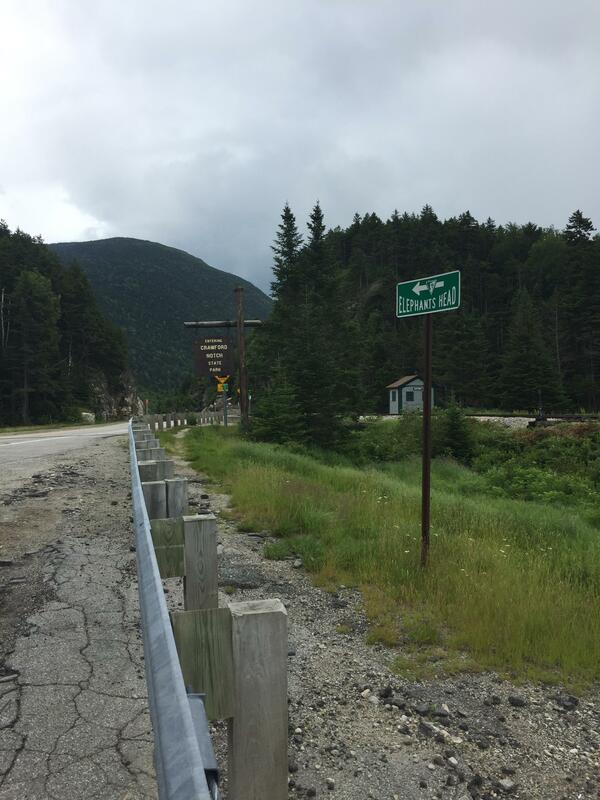 Parking for the Bemis Brook Trail to Arethusa Falls is located in Crawford Notch off Route 3. The state park’s $3 parking fee is self-pay. Outhouses are located on the end of the parking lot, opposite the trailhead. My total hiking time was 25 minutes. The hike up Elephant Head is just about the easiest hike you can find in the White Mountains for really excellent views. 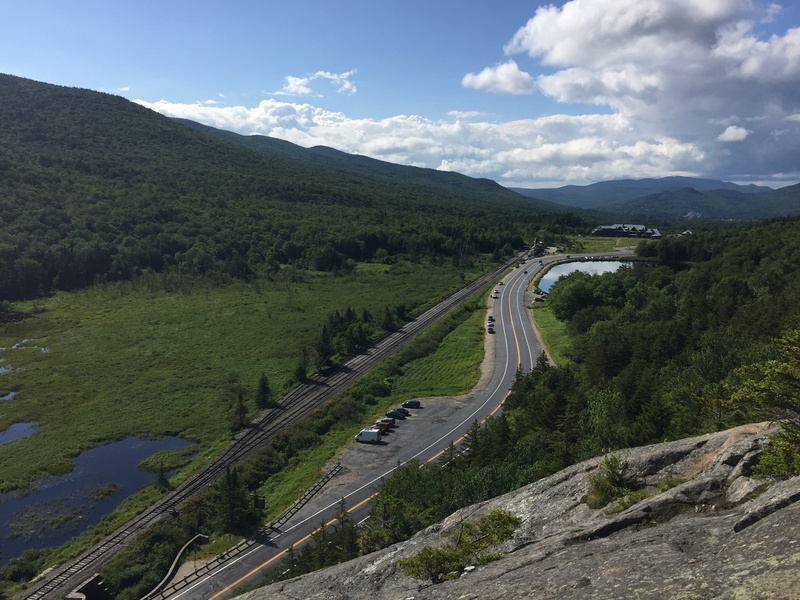 It’s just 0.3 miles up to the top of an exposed knob overlooking a northern section of the Crawford Notch Highway just past the AMC Welcome Center. 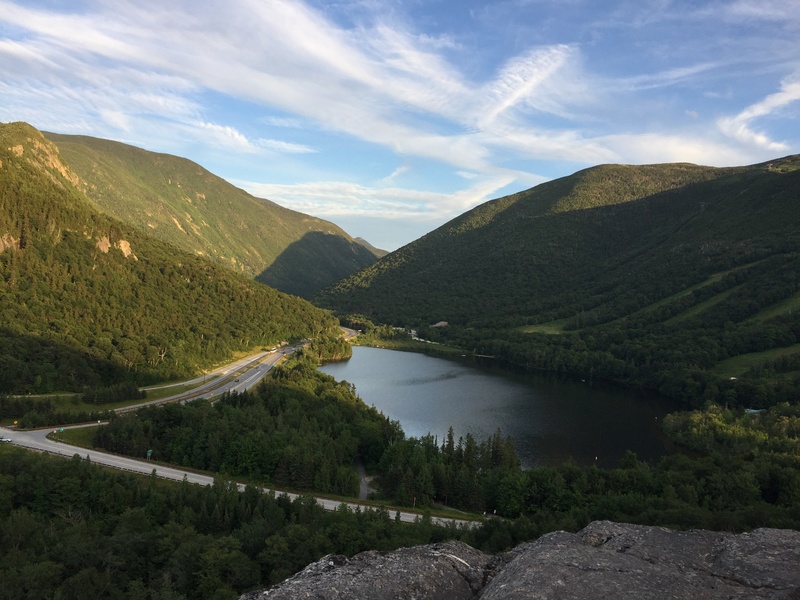 The whole Crawford Notch drive should not be missed when fall foliage touring, and Elephant Head is a great stop to stretch your legs and get the blood pumping for even more views of the surrounding mountain ranges. This hike is especially suitable for children! Keep an eye out for passing trains on the scenic railroad crossing the other side of the road. Park in the gravel lot just around the bend heading south from the AMC Welcome Center. The trailhead is located across the street heading back in the direction of the Welcome Center. My total hiking time was one hour fifteen minutes, but total time spent was nearly three hours. What can I say? It’s called “Artist’s Bluff”! I had to bring my laptop and engage in some mountain-views-inspired writing! 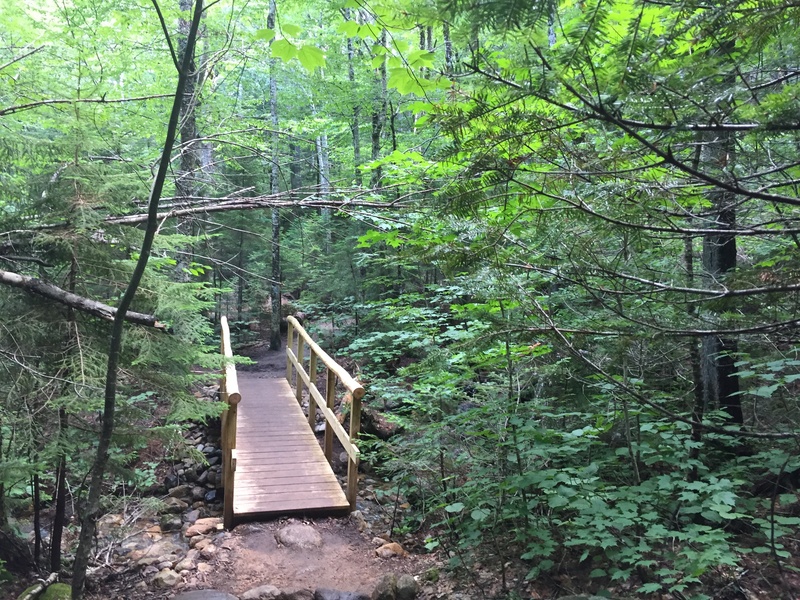 This loop trail will get your blood pumping, but it’s worth it for the views of the Franconia Notch valley, Echo Lake Beach, the Presidential and Kinsman Ranges, and Cannon Mountain Ski Area. 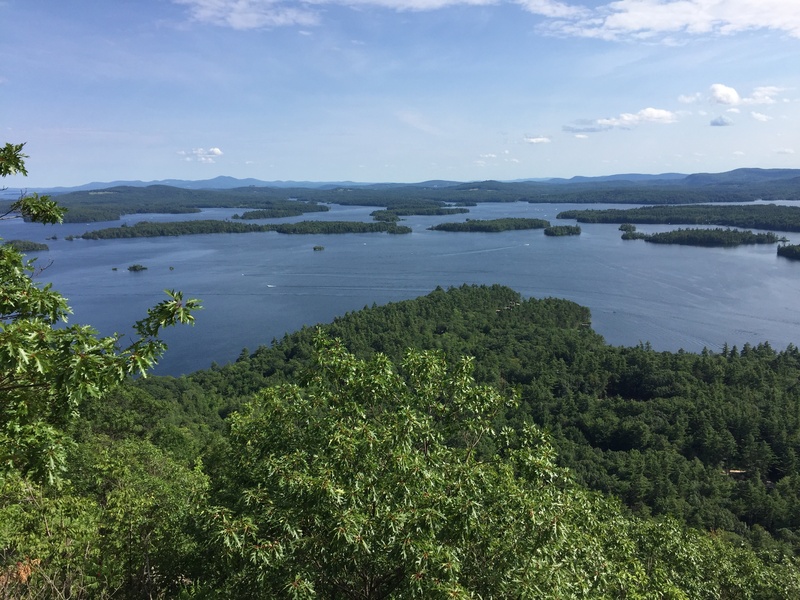 The hike takes you over two summits, although the iconic Artist’s Bluff view is actually a few hundred feet down from the peak. 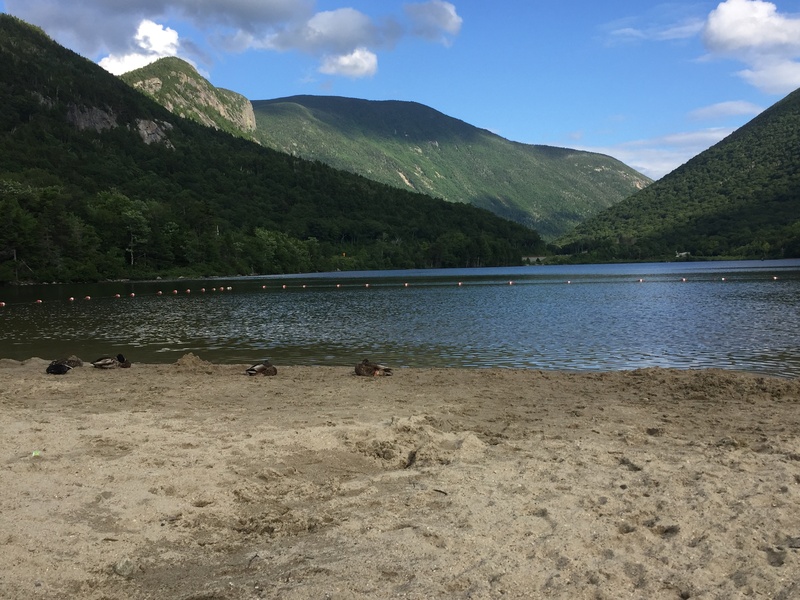 Consider capping off your hike with a dip or visit (depending on the weather) to Echo Lake Beach. Admission is $4 for adults and $2 for children between the hours of 9 am and 5 pm. Paddleboats, canoes and kayaks are also available for rent through the state park for $20 per hour. 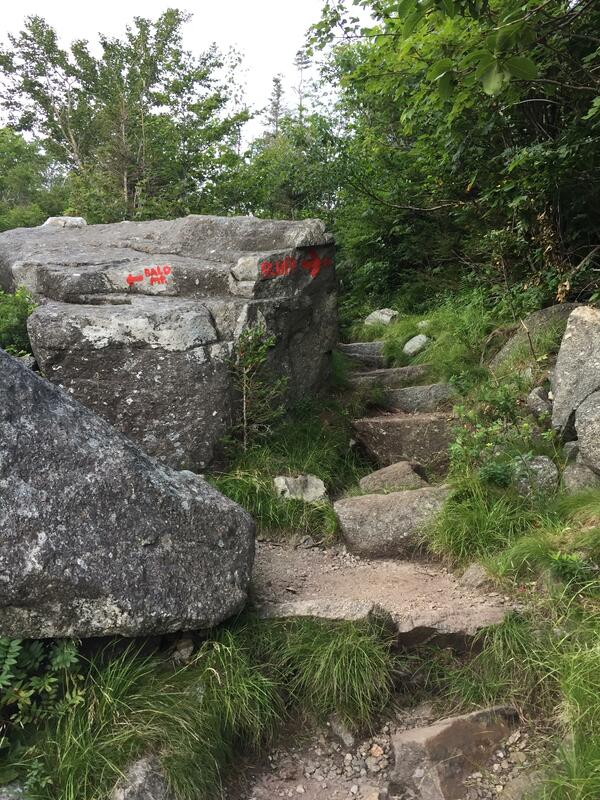 The Welch and Dickey Mountain Loop Trail is a popular, strenuous hike with fantastic views. It is especially recommended for enthusiastic hikers in fall foliage for the 360-degree panoramic views of the Pemigewasset Valley and Franconia Ridge. Inexperienced hikers are warned that this trek will likely take you five hours. Additionally, there are rock scrambles and bouldering required that may not make this a good choice for those traveling with children or those with a fear of heights. The trailhead is located at the upper end of the parking lot. This may be a better choice for athletic parents who want to introduce the kiddos to a more challenging hike. The elevation gain puts this hike on the difficult side of moderate, but the incline is mostly gradual, with no bouldering or steep drops to contend with. The trail leads up to and loops around a beautiful mountain lake where an AMC Hut is located. The Hut is a nice place to stop for a breath and enjoy the views of the lake amidst the White Mountains, although amenities for passersby are few. Bon Voyage, Happy Hiking, and HELLO FALL!